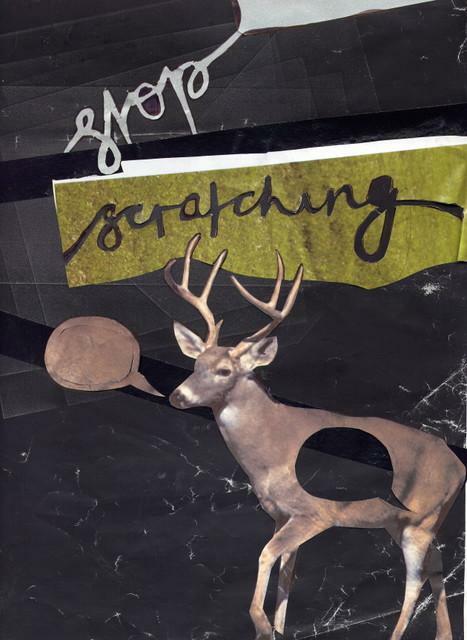 stop scratching: "needles to say"
i writing today to find out your opinion on human medical testing? on friday me and my housemate rickery are going to london to have bloodtests, if we get the all clear we will, at a later date, embark on a 10 day ordeal under the beady eyes of medical professionals. upon our arrival we will be injected with the flu virus and then a possible cure to observe the reaction it has on us. my friends all have different opinions, the most popular being that i will turn into some kind of elephant man. i just wanted to know what your opinion on the subject is? the way i see it is that i'm flat broke, have no gaurenteed income coming my way over the next few months and could really do with the cash. i have an amazing immune system and never really get ill myself so i'm not to concerned with that, of course i'm sure they'll come a point where i'm lying in bed sweating out hot soup screaming regret but hey, it'll all be worth it in the end. one less animal that needs to be experimented on too. no age last week in nottingham was incredible. like driving around in the summer in car with no top listening to scuzzy old punk tapes through fancy new speakers in the blistering sun. perfection. they really are the soundtrack to my summer this year. also, a band called human hair supported featuring henry from lovvers and that amazing guy jack whom i met earlier this year at dot to dot. jack sort of recites poetry over the top of sloppy post-punk guitar riffs but it doesn't sound as nearly as wimpy as that. it kind of reminds me of les savy fav circa cat and the cobra but put through a meatgrinder, so the end product is a much more honest, punk version of arab on radar. really good stuff. keep watching this space. i haven't even eaten dinner yet, so i must dash. in a way, it might be quite funny if you turned into the elephant man. given his surname an'all. you wouldn't be leaving a kiss if i did though. i dont see any harm in it. 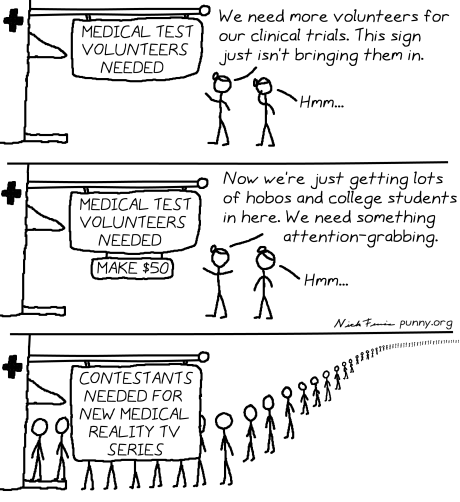 id rather see willing voluntary human testing than animal testing anyday. just dont let them lave you in an anthrax-ventilated area ! i think you have to do drugs tests as well dont you? i was gonna go for one a while back and that was one of the criteria. although i haven't seen you in ages zo you could be straight hedge now as far as i know! i'm pretty good these days anyway. they didn't mention any tests though, they told us not to drink or smoke weed a week before we come in and to eat three peices of fruit. THREE. i hope they're paying for that.